Achieve the versatility you need when preparing your meals. 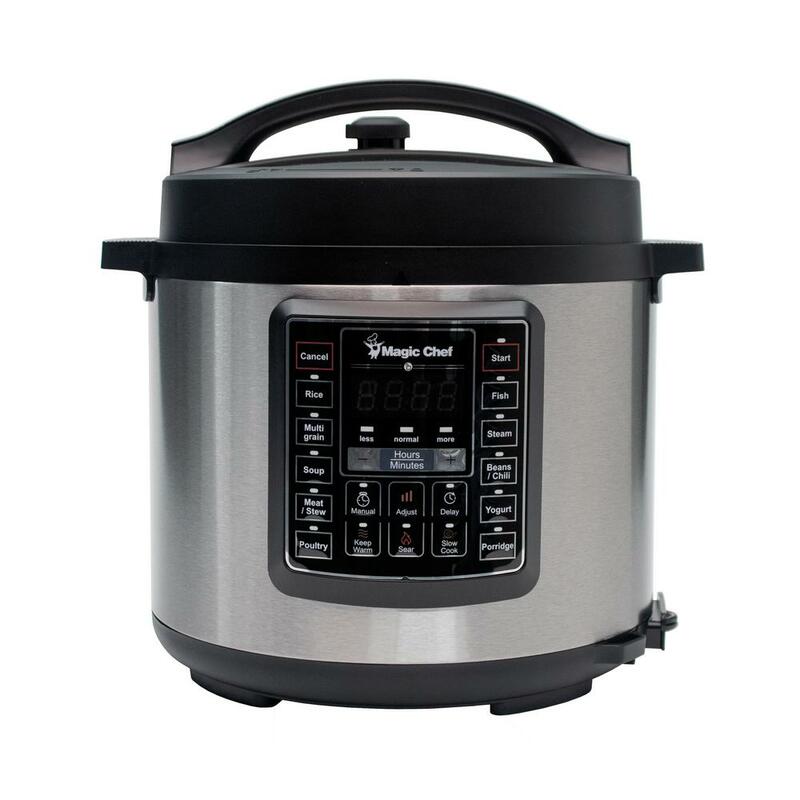 The Magic Chef Multi-cooker is a programmable 7-in-1 multi-cooker that combines the function of a slow cooker, pressure cooker, sauté, rice cooker, steamer, yogurt maker, and food warmer. Multi-cooker cooks food properly so that it doesn’t dry out and has better texture. Cooking with pressure reduces cooking time by up to 70% which saves time and energy. The Fish and Steam functions use a lower pressure, which avoids overcooking delicate foods. The inner pot is dishwasher safe for easier cleanup, too. shorter cooking times. I have used my Magic Chef nearly every day to make meals for myself and experiment with new ideas I see on YouTube. I really like that I can grab a chicken breast out of the freezer and set it for about 10 minuets then add a frozen package of stir fry vegies and in 20 minuets be eating my lunch or dinner. Or, if I have a few eggs that are about to expire I just lay them on top of my food and in about 5 minuets have hard boiled eggs for the next few days. No more tough cuts of meat with the Magic Chef because they come out "falling off the bone". Dusty has not submitted any questions. Dusty has not submitted any answers.